Well the sad time has come…I have finished Angel Fire; the second installment from the epic ‘Angel’ trilogy. It’s been a long time coming and the anticipation for this book has been huge. Was it worth the wait? In a word, yes. When I first received the big parcel from Usborne I was very excited. I would finally learn what was to become of Willow and Alex…in 700-odd glorious pages. 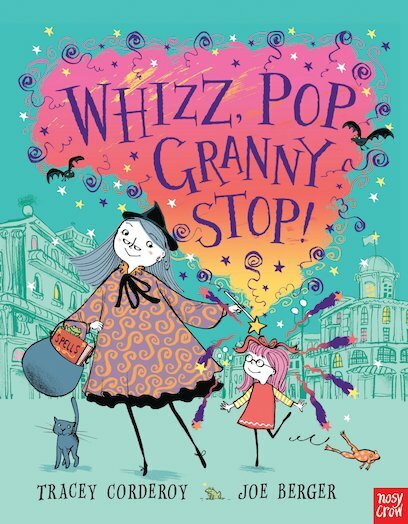 As i sat down to read this book (usually in the bath because it was too heavy to carry around in my bag all day) I realised I had forgotten a lot of what happened in the first book but as I got to know the characters again, it all came flooding back. I was hesitant with ‘Angel Fire’ being such a long book. At 700 pages could it really keep me interested and could Alex and Willow’s story develop anymore? With the introduction of Seb, the elusive other half-angel with a shady past ‘Angel Fire’ created a whole new dynamic. For the first time, L. A. Weatherly let the characters loose with other characters and the results is a hugely compelling, action-packed romantic thriller which I couldn’t put down. I loved it from start to finish. I knew I would because I have every faith in Lee Weatherly as an author. From blog perusing and twitter stalking it dawned on me that a lot of people had a problem with the introduction of Seb and how Willow and Alex would react. After all, the one thing they could always rely on was one another and with Seb, their whole understanding and reliance on one another completely shifted. But I was never apprehensive about Seb. In fact, I loved the introduction of his character and the new possibilities he created for the storyline and you know what? I think Alex and Willow are even stronger for it. Their lives are still at risk and they’ve still got a hell of an ongoing battle to fight against the angels, but they’re not alone and I look forward to the character devlopments book three will bring. I’ve been recommending ‘Angel Fire’ to all my customers, making sure they pick up a copy of the first book but it’s also so encouraging to have people come in and ask for the new book because ‘they loved Angel so much’. But first, a little more about the Angel Trilogy and why it’s just so amazing. I was first made aware of ‘Angel’ by L.A. Weatherly last year when I did some work with Usborne. Ever since reading it on my commute to and from London I’ve been hooked and it’s been a long year waiting for this sequel ‘Angel Fire’. It’s 700+ pages of pure YA drama and I’m torn between finishing it as quickly as possible or saviouring the feeling of reading something for the first. time. 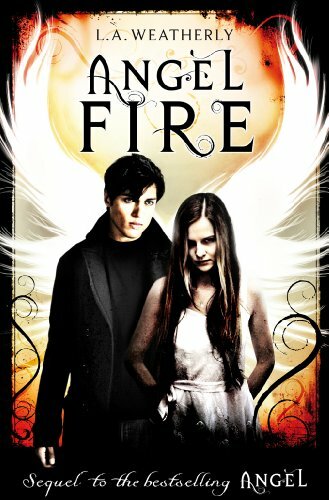 The blog tour began over at My Favourite Books http://myfavouritebooks.blogspot.com/2011/10/angel-fire-blog-tour-in-depth-interview.html Liz spoke to Lee Weatherly all about the new book and the writing of it. What a fantastic start to the blog tour, and now it’s about time we have a little chat about Seb! At first, I had it in my head that Seb was a charming rogue – a user. An early scene I wrote had him breaking out of a young offenders’ facility, but refusing to help a younger boy; another had him using his flirtatious charm to scrounge food in a marketplace. I quickly realized that I didn’t like this Seb very much – and more importantly, I couldn’t imagine Willow liking him, either. Back to the drawing board. This time, I let Seb himself take the lead, and a wholly different character emerged: quietly determined; a teasing sense of humour; a complex mix of sociability and introvert. Despite Seb’s difficult past, all that mattered to him was finding his phantom half-angel girl. When he finally meetsWillow, it’s like he’s discovered the other half of his soul. Ah. Now this was a Seb I could imagineWillow being very drawn to. Probably the most difficult part about bringing Seb into the mix was that I myself became a little too enamoured with him! At times I had to work at getting the balance right, because of course Alex is still very much the story’s hero. What’s lovely about having Seb in the series is that it means the tension will continue … because I rather imagine that we haven’t seen the last of the love triangle yet. What can I say?Willowis a very lucky girl! It’s so interesting to find out about characters; how they were created and what drives them. It seems in this case, Seb was true to his character and took control of the situation. He’s created a whole new dynamic to the book opening it all up to so much possibility. Whether people will be accepting of Seb stepping on Alex’s toes is another thing altogether. So, are you Team Seb or Team Alex? Next up on the Angel Fire Blog Tour is http://withoutabookshelf.blogspot.com/ on Thursday ‘From Mexico, with Love’. The angels are back…and they want revenge. But in the second installment of the fantastic Angel trilogy by L.A. Weatherly, Willow and Alex have got help. To celebrate the publication of Angel Fire on 1st October, I am taking part in the Angel Fire Blog Tour. Starting tomorrow the blog will cover evwerything from Q&A with the lovely Lee to finding out about the mysterious Seb (trust me, you really want to know more about him). The blog tour stops at mine on Tuesda. You will have to wait for the review…the book is over 700 pages long. But for now here is the blog schedule. Enjoy and do let me know what you think. Last year I couldn’t stop talking about the fantastic new YA title published by Usborne called ‘Angel’. Written by the lovely L.A. Weatherly, ‘Angel’ was the first in a trilogy all about the love affair of Willow, a half Angel and Alex, an Angel killer. And so began my obsession. The first book did so well and I got as many people hooked on it as possible and now after months of waiting and anticipation, publication day is almost here of the second in the trilogy. Called ‘Angel Fire’ we pick up where we left off at the end of ‘Angel’ and Alex and Willow must begin to train new AngelKillers for their battle against the Angels. You see, unlike Willow, Angel’s aren’t actually that nice. In fact, they’re killing human’s and draining them for energy. Sound intrigued? Then get yourself down to a bookstore and buy a copy of ‘Angel’ today, and whilst your at it, pre-order ‘Angel Fire’, published 1st October, just in time for Halloween. Look out for ‘L.A. Weatherly’s blog tour coming soon. Now if you’ll excuse me, I’m off to read a preview chapter which arrived this morning!